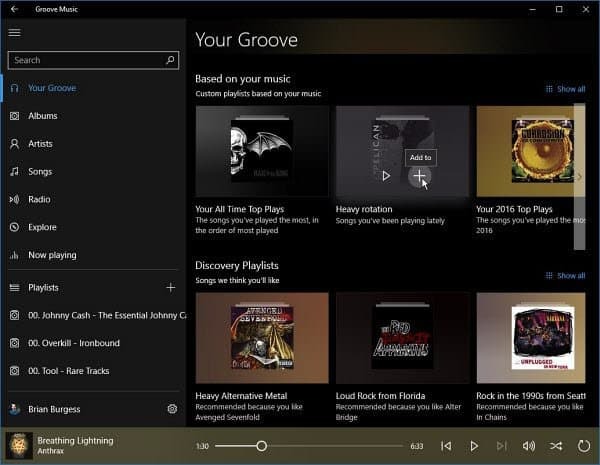 haven’t tried Groove Music yet? Microsoft wants to entice new users to start using it by providing four months of Groove Music Pass for free. If you’re new to Windows 10 you might not have given Microsoft’s built-in Groove Music a try yet. The company is trying to entice new users to start using its app and music streaming service by providing four months of Groove Music Pass for free. The Groove Music service has come a long way since the Windows 8.1 days when it was branded as Xbox Music (which was a mess). It lets you easily import your iTunes playlists, download songs to multiple devices, and upload music to OneDrive and play it back. While you can add your own music collection to Groove Music, a subscription allows you to stream from a library of millions of songs. 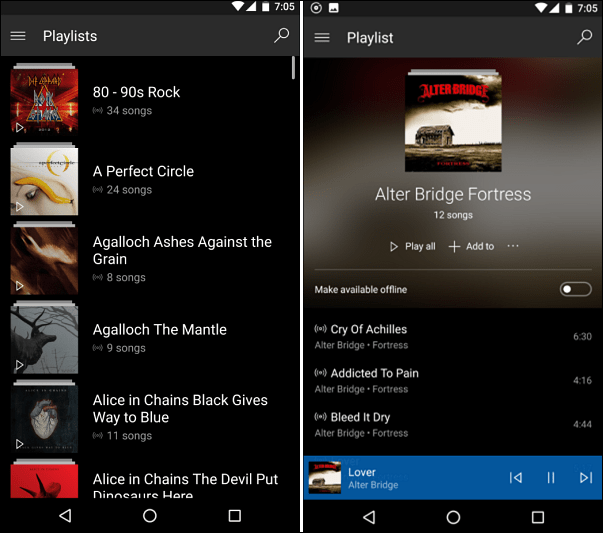 You can create playlists as well as custom radio stations. You can download songs on up to 10 devices and stream to only one device at a time. Groove Music is available on Windows 10 devices (PC, Xbox, and Phone), Android, iOS, and Sonos devices. You can also stream it to a Chromecast. Just like previous offers, you will be required to sign up for the one-month free trial with a credit card. After that, Microsoft will email you a promo code for an additional three months of free service. If you don’t aren’t a fan, make sure to cancel the subscription before the promo period ends otherwise you’ll be charged $9.99 to continue. In fact, you might as well set yourself a reminder with Cortana to alert you when the trial is about to end. Note that to take advantage of this latest offer you need to be a new subscriber and sign up before March 1st. The promo code needs to be redeemed before March 14th. Also, if you have previously subscribed to Groove, Xbox, or even Zune Music Pass you aren’t eligible for the special offer. If you are looking for a new digital music service to use while at your desk or on the go, head to the Microsoft Groove site to sign up and get your free four-month pass. 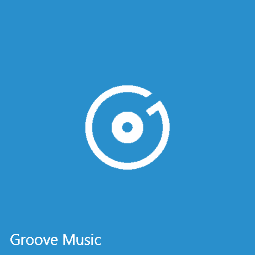 What is your opinion of Groove Music in Windows 10 or on mobile platforms? Are you a fan of it or sticking with other services like Spotify? Leave a comment below and let us know. How does it compare with Spotify?